The following safety huddle represents OSHA's safety compliance regulations for positioning device systems 1926.502(e). 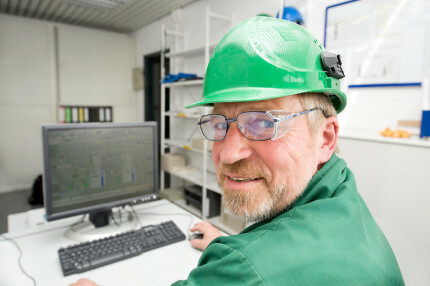 Always consult directly with OSHA compliance standards and manufacturer recommendations before utilizing these systems. 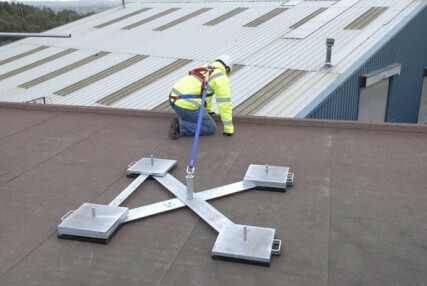 Positioning device systems are not fall arrest systems, but they are personal safety devices that can be used to prevent an employee from falling. They are an invaluable tool for fall protection but employers and managers must understand how to use them properly. Shall be rigged such that an employee cannot free fall more than 2 feet. anchor points for these systems must be capable of supporting twice the potential impact load of an employee's fall or 3,000 pounds, whichever is greater. All connectors shall be drop forged, pressed or formed steel, or made of equivalent materials. Connectors shall have a corrosion-resistant finish, and all surfaces shall be smooth. Connecting assemblies shall have a minimum tensile strength of 5,000 pounds. Dee-rings and snaphooks shall be proof-tested to a minimum tensile load of 3,600 pounds without cracking, breaking, or taking permanent deformation. Snaphooks shall be sized to be compatible with the member to which they are connected, or shall be a locking type designed and used to prevent disengagement. As of January 1, 1998, only locking type snaphooks shall be used. Shall be inspected prior to each use for wear, damage, and other deterioration, and defective components shall be removed from service. Body belts, harnesses, and components shall be used only for employee protection (as part of a fall arrest system or positioning device system) and not to hoist materials.